Several Palestinians were kidnapped on Sunday in a mass abduction sweep launched by the Israeli occupation forces (IOF) across the West Bank. A PIC journalist said the IOF kidnapped four Palestinians from Bethlehem and two from al-Khalil. 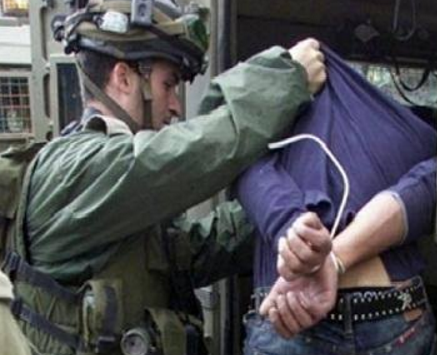 The IOF also summoned a number of Palestinians from the West Bank provinces of Bethlehem, al-Khalil, and Ramallah for interrogation. 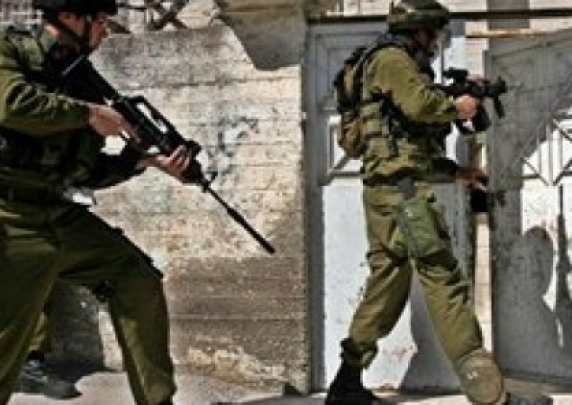 Two Palestinians were also kidnapped by the IOF from Nablus following a series of abrupt home break-ins. 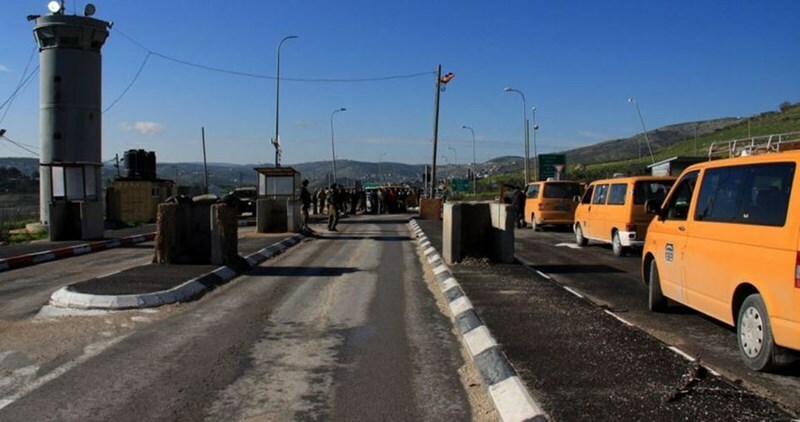 The occupation army has blocked Palestinians’ access out of and into Nablus via the Hawara military checkpoint. Overnight Saturday the IOF stopped buses at the Zaatara checkpoint before they cracked down on Palestinian day-trippers and checked their IDs. The Israeli police forces stormed Sunday afternoon Issawiya town east of occupied Jerusalem which led to the outbreak of violent clashes. According to Quds Media, clashes broke out in the town after dozens of Israeli policemen brutally stormed it and deployed in large numbers throughout its neighborhoods amid random fire of teargas bombs. Israeli snipers also climbed over the rooftops of local homes, the sources added. In their turn, Palestinian youths responded by throwing stones and Molotov cocktails at the police forces. Meanwhile, Israeli authorities released a detained young man with special needs shortly after his arrest near Issawiya town. Two other brothers were detained after being summoned for investigation at Qalandia checkpoint north of the occupied city, Qalandia media center said. Six more arrests were reported at dawn Sunday across the West Bank, while a 19-year-old youngster was arrested in occupied Jerusalem. Israeli occupation forces (IOF) arrested a Palestinian youth south of Nablus city on Sunday afternoon at the pretext he tried to stab a soldier. 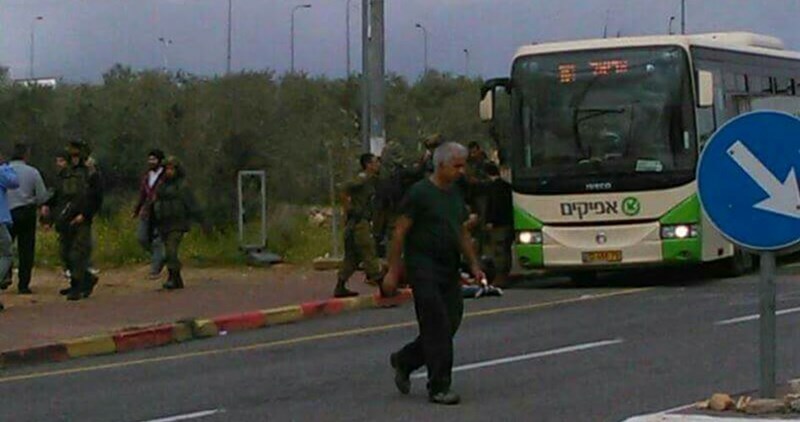 The Hebrew website 0404 reported that the young man brandished a knife and tried to stab one of the soldiers at Za’tara roadblock to the south of Nablus. It said that none was injured in the alleged attempt, and that the youth was taken for interrogation. A Palestinian young woman from Kufr Qassem, in 1948 occupied Palestine, was detained earlier today for allegedly stabbing an Israeli woman near Tel Aviv. The woman sustained minor injuries. An Israeli woman was wounded in an alleged Palestinian stabbing attack near Tel Aviv on Sunday afternoon, according to the Israeli army radio. The broadcast said that Israeli police were investigating the incident, adding that a Palestinian young woman had carried out the alleged attack. The Israeli police said in a terse statement that a 23-year-old Palestinian woman from Kufr Qassem village, in 1948 occupied Palestine, had carried out the stabbing attack. The Israeli occupation forces had more than once fabricated stabbing charges against Palestinians and threw knives near their bodies or at the alleged stabbing scene to justify their extra-judicial killing or arrest. The Palestinians have been waging confrontations with the IOF in protest at the Israeli violations since last October in what has become known as the Jerusalem Uprising. A 23-year old woman from the town of Qafr Qassem, in the Negev desert, was detained by Israeli police after allegedly stabbing an Israeli woman lightly in the hand, in an industrial park near Tel Aviv Sunday. The 23-year old alleged assailant was taken to an Israeli detention center for interrogation, and will likely face charges of attempted murder, as well as terrorism charges – based on past charges against Palestinian assailants in Israel. Her lawyer told reporters that the incident may have involved a personal dispute between the two women, and said that Israeli authorities tend to jump to conclusions when the assailant in any case is a Palestinian. 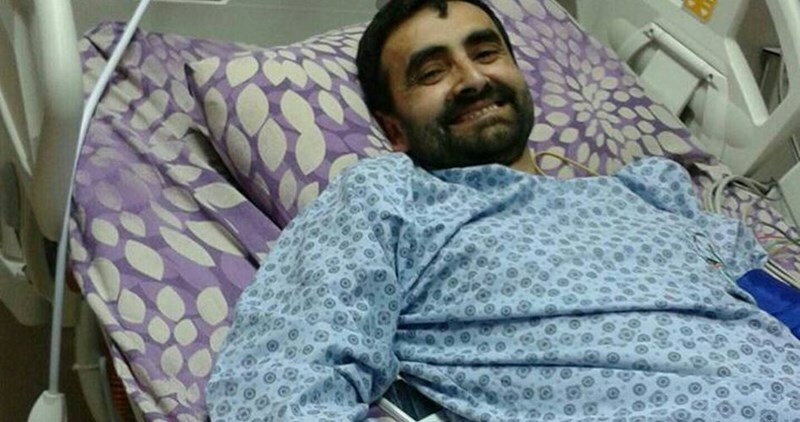 This is only the second time in the past six months in which Israeli forces have taken an alleged Palestinian assailant into custody without firing any shots. Dozens of Palestinians holding only a knife have been shot and killed by Israeli soldiers and police in this time period, and many more Palestinian civilians were killed while holding no weapon in their hand at all. Over 200 Palestinian civilians have been killed since October. During the same time period, around 20 Israelis have been killed by Palestinians. The alleged victim of the attack, a 30-year old woman from Qafr Saba, was taken to Rabin Hospital in Petah Tikva with a cut on her hand. A group of Israeli citizens who were standing nearby started chasing the Palestinian woman (who also has Israeli citizenship), according to one person who spoke with Israeli Channel Two television, claiming that he and another man “took down” the alleged assailant. The person who spoke with Channel Two also told reporters that he and other men threw stones and chairs at the 23-year old woman, and tried to run her down with a car. He said that he and one other man then pinned the woman against a fence and held her down on the ground until police came and arrested her. Qafr Qassem, the alleged assailant's hometown, was the site of a massacre on October 29, 1956, in which Israeli border police attacked a group of Palestinians for allegedly violating a curfew, killing 49 civilians, 23 of whom were children. The border police responsible were charged, but were pardoned after serving less than a year in prison. 100 Palestinian prisoners affiliated with Islamic Jihad and the Popular Front for the Liberation of Palestine (PFLP) intend Sunday to start an open-ended hunger strike in solidarity with the detainees suffering health problems. According to the higher committee for the follow-up of prisoners' affairs, the hunger strikers will also express their solidarity with sick detainees by banging on doors, and refusing to go to the prison yard, and to talk with the Israeli prison authority. 82 prisoners in Israeli jails are in need of surgeries, 29 others suffer from cancer, and about 20 suffer from paralysis. Palestinian Detainees and Ex-Detainees Committee revealed that the Israeli Occupation Authority (IOA) detains 1,700 Palestinian sick captives in its jails. The committee charged the IOA with committing systematic health crimes against detained Palestinian patients. In a statement on the National Day in Solidarity with Sick Prisoners which coincided on Saturday, the committee said that Israeli prison doctors do not provide detained patients with appropriate treatment especially those of special needs and the infected with serious and chronic diseases as well as the injured captives. The committee asked the international community to bear its responsibilities towards Palestinian sick prisoners in Israeli jails, and expressed concerns over Israeli violations practiced against Palestinian patients in Ramleh prison infirmary. 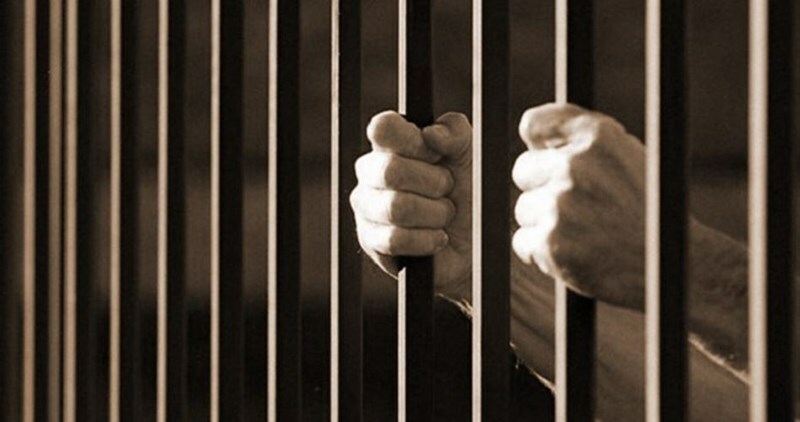 A report issued by each of Palestinian Prisoners Society, Addameer Prisoner Support and Human Rights Foundation, Detainees and Ex-detainees Committee, al-Mizan Center for Human Rights-Gaza revealed that the Israeli occupation authorities arrested 647 Palestinians from the Gaza Strip and the West Bank in March. The report showed that the number included 128 minors and 16 females while the number of the arrested has increased since the outbreak of the Jerusalem Intifada to reach 4,767. 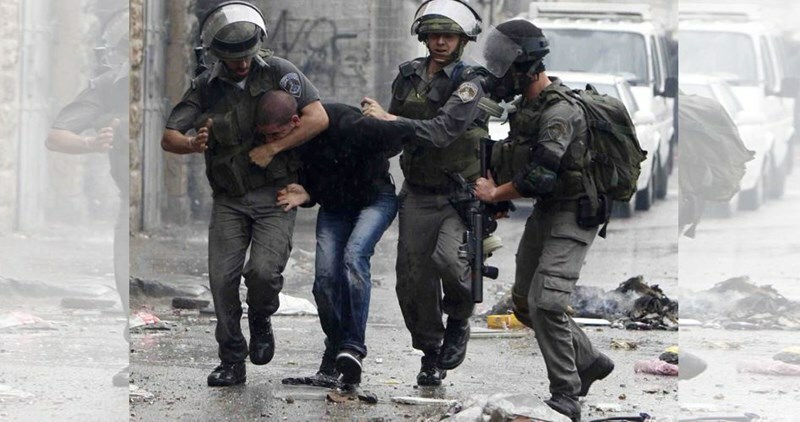 The report stated that the largest percentage of arrests documented were in Occupied Jerusalem with a total of 149 Palestinians. Al-Khalil came next with 110 detainees while the smallest number of arrests was reported in the Gaza Strip with 5 cases. The report also documented 192 orders of administrative detention in March which increased the number of Palestinian prisoners who are held under administrative detention with no trials or charges to 750 captives. The number of female detainees also jumped to 68 including 18 minors. The number of Palestinian male minors who are imprisoned in Israeli jails reached 400 and the number of sick captives mounted to 700. Whereas, 7 arrest cases were documented among Palestinian journalists who have been arrested since the beginning of the year. Israeli violations included as well the closure of two TV channels and 148 cases of arrest against Palestinians for their posts on Facebook, according to the report. Israeli soldiers invaded, on Sunday at dawn, several cities and towns in different parts of the occupied West Bank, and kidnapped eight Palestinians. The soldiers invaded Beit Fajjar town, south of Bethlehem, searched a number of homes and kidnapped a young Palestinian man, identified as Mohsen As’ad Thawabta, 20. The soldiers fired gas bombs and concussion grenades, during clashes that took place in the town, while local youths hurled stones and empty bottles on the invading army vehicles. 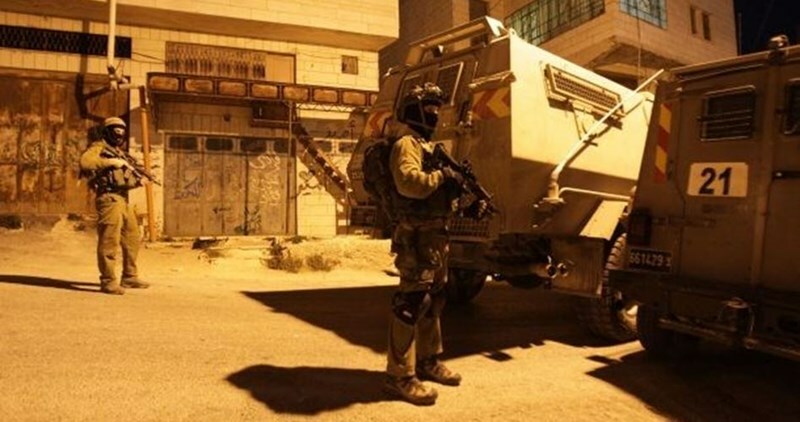 The soldiers also invaded Mrah Rabah village, south of Bethlehem, and kidnapped Mohammad Khalil Mohammad, 23, after breaking into his home and violently searching it. The soldiers also invaded the Deheishe refugee camp, south of Bethlehem, and summoned Anas al-‘Adam, 24, for interrogation in Gush Etzion military base and security center. 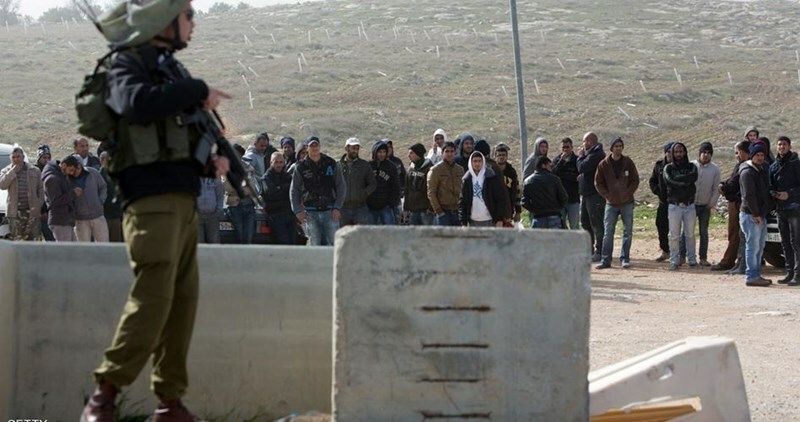 Clashes took place in Teqoua' and Beit Fajjar towns, after the soldiers stormed and searched many homes. In addition, several military vehicles invaded neighborhoods in the southern West Bank city of Hebron, searched homes and kidnapped four Palestinians, identified as Hamada Khaled al-Ja’bari, 20, Yousef Abdul-Karim al-Ja’bari, 19, Mohammad Shokri Shahin, 16, and Ahmad Shehda ad-Doudi, 22. In addition, the army invaded Deir Samet town, southwest of Jenin, searched homes and summoned several young men for interrogation. The soldiers also invaded the northern West Bank city of Nablus, and kidnapped Tawfiq Sabti Dweikat, 27, after searching his family home in the Dahia neighborhood, southeast of the city. 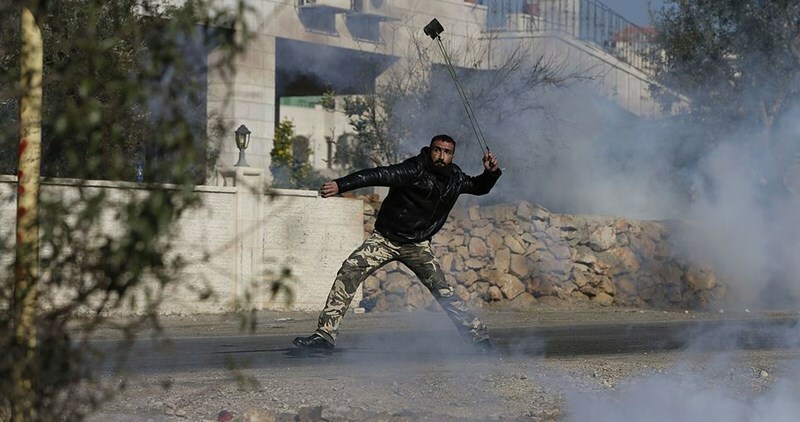 Clashes also took place near Joseph Tomb, east of Nablus, and the soldiers fired many gas bombs and rubber-coated metal bullets; no injuries were reported. 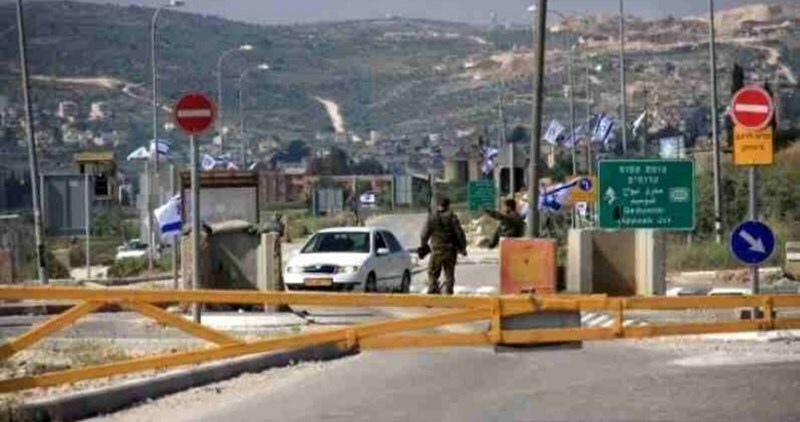 The soldiers also invaded Ya’bad town, southwest of the northern West Bank city of Jenin, and kidnapped one Palestinian, who remained unidentified until the time of this report, after stopping him on a military roadblock they installed at the main entrance of the town. The invasion led to clashes between the soldiers and local youths who hurled stones on the invading forces, while the army fired gas bombs and concussion grenades. The soldiers also installed a roadblock at the main entrance of ‘Arraba nearby town, stopped and searched dozens of cars and inspected the ID cards of the passengers. In related news, the soldiers stopped a Palestinian on a military roadblock, southwest of Jenin, and searched him before steeling 1800 Shekels from his ID card sleeve while inspecting it. The Palestinian, Rami Jom’a Abu Ghalyoun, from the al-Biereh city in the central West Bank, said that he filed a complaint with the District Coordination Office in Jenin. Furthermore, the soldiers invaded Bodrus village, west of Ramallah, and summoned a young man, identified as Abdullah Mohammad Odah for interrogation, after violently searching his home, causing property damage. Several military vehicles also invaded Qalandia refugee camp, north of Jerusalem, before the soldiers searched homes, and clashed with many youngsters. 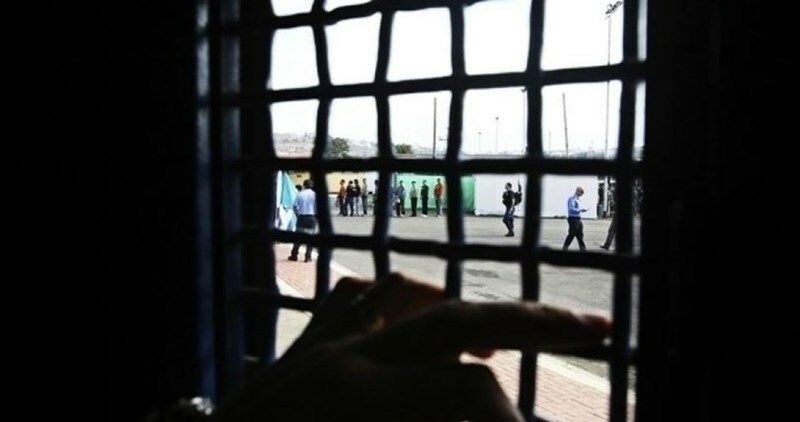 National Commission for Prisoners and Ex-Prisoners warned on Friday that the prisoners in Etzion detention center are experiencing humanitarian and health crisis as a result of the policy of deliberate neglect practiced by the Israeli jailors against them. The commission said in a press statement that the practices carried out by Israeli soldiers against prisoners fall as part of a systematic plan with direct instructions from the vindictive General Security Service "Shin Bet". The commission quoted a prisoner in Etzion as saying that they are exposed to the “worst humanitarian crimes”, and their daily life is painful and difficult. He added that they are provided with “not well-cooked food full of worms and insects, the rooms are filthy and dirty, and the necessary cleaning materials are not provided which creates a suitable environment for the spread of infectious and serious diseases". The commission explained that there is a great shortage in blankets, clothes, and towels although it is extremely cold in the rooms where rainwater accumulate inside them. Nothing is provided for prisoners by the detention center management, it said, adding that the management does not look into their complaints and demands. The commission called on the Red Cross and all human rights institutions to immediately inspect the Etzion center in order to put an end to the crimes committed against the prisoners, and to put pressure on the Israeli occupation authorities to provide everything they need. 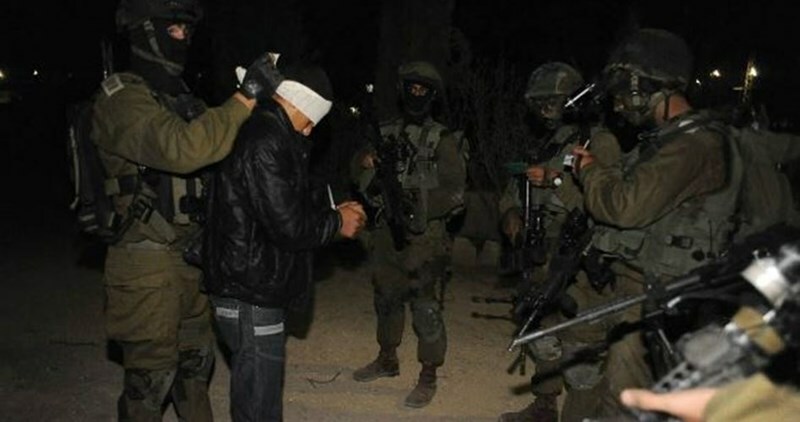 The Israeli Occupation Forces (IOF) arrested at dawn Friday 11 Palestinians after breaking into different towns and cities in the West Bank. Israeli radio said that 11 “wanted” Palestinians were arrested and transferred for investigation, without reporting their arrest places. Local activist Mujahid Kat told the PIC reporter that Israeli forces stormed Madama town, south of Nablus, and arrested two young men after breaking into and violently searching their houses. On the other hand, Israeli forces imposed tight restrictions on the southern villages of Nablus after an Israeli settler’s car was stoned near the area. 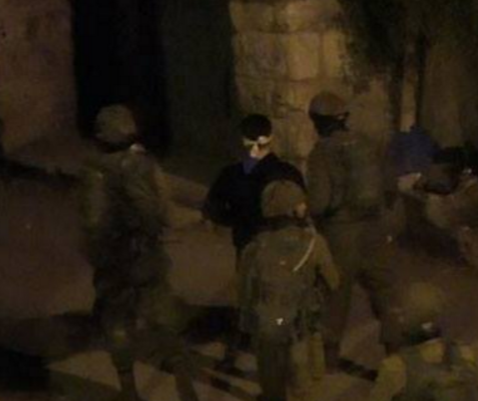 Meanwhile, Israeli forces stormed Khuder town in Bethlehem and arrested four Palestinian youths. A military checkpoint was also erected at the southern entrance of Bethlehem, where Palestinian vehicles were stopped and searched. Several other towns and villages were stormed in Bethlehem, while similar raids were carried out in Ramallah. No arrests were reported during the raids. A young man was arrested in Tulkarem, while two arrests were reported in Abidiya town in occupied Jerusalem. Israeli police on Thursday shut down a poultry factory in the Bedouin town of Shaqib al-Salam in Negev within the Green Line for employing Palestinian workers. Israeli police claimed in a statement that the poultry factory was closed for a week for employing Palestinians from the West Bank without permits. 41 Palestinian workers were arrested for working in the factory without permits, Israeli police spokesperson Luba al-Samri said. Al-Samri claimed that the closure of the farm came as part of the “Israeli security measures” to combat the supposed phenomenon of illegal Palestinian workers carrying out attacks inside Israel. A bakery was also closed on March 20 for employing Palestinian workers. Its owners were also detained for 20 days. Tens of thousands of Palestinian workers are forced to seek a living by working inside the Green Line; however, hundreds of them are detained for entering Israel without permits. Palestinian medical sources in Jerusalem have reported, on Thursday evening, that Israeli soldiers shot and injured an elderly Palestinian woman, while sitting in front of her home in Ein al-Louza neighborhood in Silwan town, in occupied Jerusalem. The sources said that the woman, 63 years of age, was shot with a rubber-coated steel bullet in her back, while sitting in front of her home. Eyewitnesses said the soldiers invaded the neighborhood, and clashed with dozens of youngsters, who hurled stones on them; the soldiers fired many gas bombs, concussion grenades, rubber-coated steel bullets and several flares. In addition, the soldiers invaded a school in Ras al-‘Amoud in Silwan, and searched several homes. 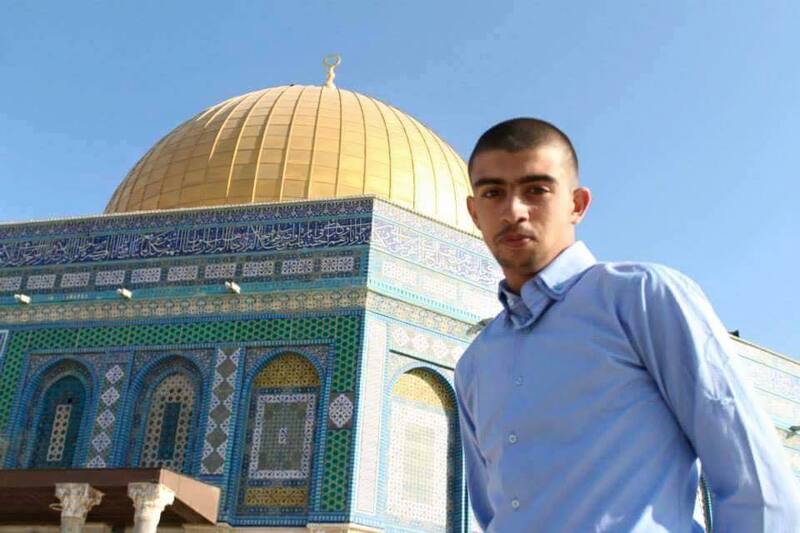 In related news, the soldiers forced Ahmad Nasser Rokin, 19, from Jerusalem, out of the city for four months under the “emergency law” and gave him two hours to leave the occupied city. Israeli soldiers invaded, on Friday at dawn, the al-Khader town, south of Bethlehem, and Madama village, south of Nablus, and kidnapped six Palestinians. The soldiers also invaded several towns in Ramallah. Media coordinator of the Popular Committee against the Wall and Settlements in al-Khader Ahmad Salah said the soldiers invaded and searched many homes and kidnapped four young men, all in their twenties. The kidnapped residents have been identified as Amer Rafat Zayyah, Nabil Ali Zayyah, Mohammad Nasri Salam and Ahmad Daoud Salah. In addition, several army vehicles invaded Madama village, south of Nablus, searched and ransacked a number of homes, and kidnapped two young men. Local sources said the soldiers kidnapped Mahmoud Abdullah Qet and Jihad Edrees Qet, and took them to an unknown destination. In addition, the soldiers invaded Birzeit and Betunia towns, in the Ramallah and al-Biereh district, searched homes and examined the ID cards of several Palestinians while interrogating them.